Pets In Korea: And Some Of The Idols Who Own One. There’s a lot to be said about the pleasure one gets from seeing handsome and attractive young Korean idols and actors interact with their beloved pets. The internet is filled with such photos and many celebrity pets even have their own instagram accounts. The traditional Korean viewpoint on dogs began to see changes in the 1990’s when people began to have more disposable income and a wider view of the world outside of Korea. At first the idea of ‘pet’ leaned more towards a dog being a fashionable living accessory, with the wealthy and bored dying their dogs all sorts of colors and dressing them up in clothes and jewelry. Although many Asians do still do this to their dogs there now seems to be more of the idea of your pet being your companion rather than an accessory or a toy. 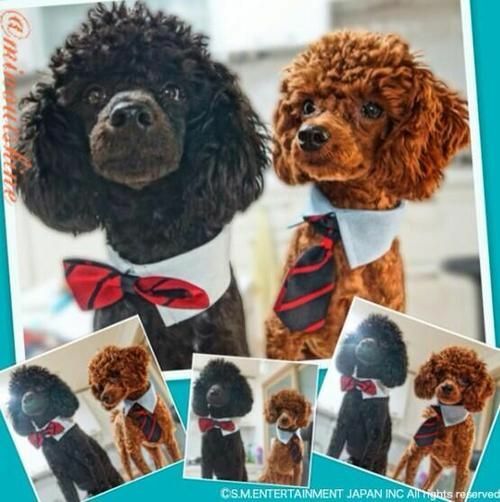 Key is well known for loving his dogs and dressing them up all the time. And there are many other celebrities who do so too. This happens in the US too, although not to the extent of in some Asian countries. 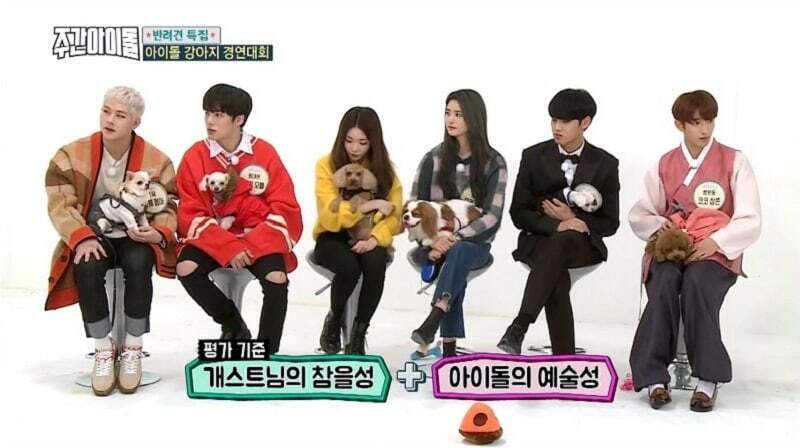 Having not grown up around animals as pets many of these idols are learning as they go, which does lead to some cringe worthy actions when seen by those more familiar with cats and dogs. At other times all we can see is the love between owner and dog and vice versa. But Korean celebrities are doing the best they can and by showcasing their affections for their pets they are helping to erase the stigma of pet ownership, and perhaps change some long held beliefs within the older community. 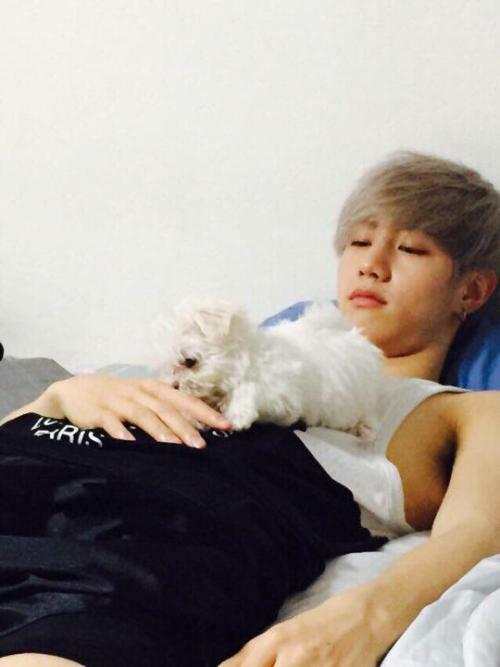 At first entertainment companies weren’t too keen on idols having pets, because of the upkeep and what to do with them when the idol was overseas or busy, but nowadays most idols are allowed pets. Pets have proved to be ’emotionally stabilizing’ and provide unconditional love in times of stress, and the entertainment companies now leave it up to the idols as to what to do with them when they can’t take care of them. This leads to questions from fans when popular puppies grow up and disappear from the scene. In most cases friends or family take in the grown dog, but sometimes I’m left to wonder. I guess we’ll all be watching to see if all the ‘puppies’ make a comeback after their owners come back from military service. In the past few years the number of Koreans owning pets has risen dramatically, from 17.4% of Korean households owning at least one pet, to 22% in 2015. This does, however, still include people who chain their animals up outside, which for many of us reduces the dog to more of an ‘object’ to be owned, rather than a pet even if its living conditions don’t look too bad. Some theorize the surge in the number of pets is due to the rise of single family households and the fact that pets are seen as a substitute for children by some people. With the rise in the number of pets there’s also been a large rise in the number of thrown away and abandoned pets, more than 102,000 in 2017. Cases of pet abuse have also risen. The Korean Government has enacted new laws governing the regulation of pet ownership and is trying to enact and enforce pet safety rules. Unfortunately there are estimated to be about 1,000 puppy mills in Korea with 80% of them being illegal. Most puppies in Korea do come from these puppy mills. There is a vicious cycle of people buying cute puppies and then abandoning them as they grow up, only to go and buy another cute puppy. In October of 2017 Siwon of Super Junior was at the center of a serious controversy when his dog Bugsy got out and bit a neighbor. The neighbor actually died a few days later from sepsis. This led to a great deal of debate and discussion on irresponsible pet owners. (Bugsy apparently had a history of biting.) 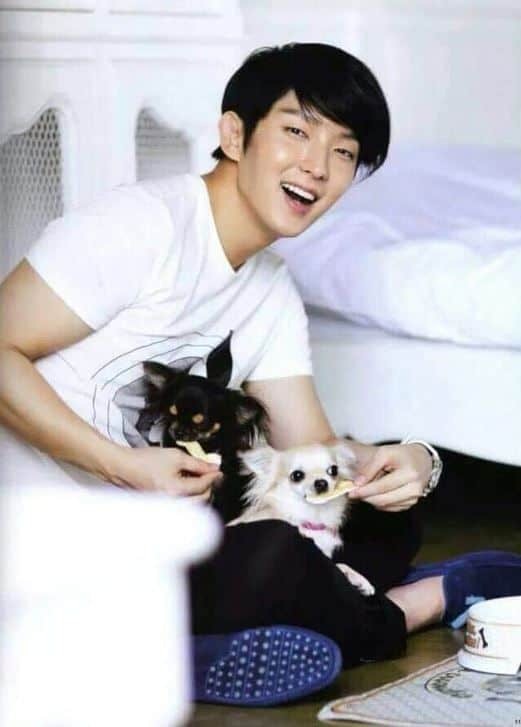 Park Yu Chun has also had a dog bite controversy that happened a while ago, but the person who was bitten on the face only filed a complaint in 2018. The government has now implemented harsher fines and penalties on owners of unleashed pets, and muzzle laws have been enacted. Dogs in Seoul must also be microchipped, but many are failing to do so. On the upside the Korean Government has just announced that they are going to strengthen the penalties for animal abuse. There’s a long list of Korean celebrities who own dogs and it would include Kim Sohyun, Roy Kim, Mark & Youngjae, Amber, Suhyun, Jin, Jimin, Zelo, Siwon, , Park Shinhye, Kai, Kang Sora, Seunghoon, GD, Taeyang, Key, Yang Yoseob plus many others. In fact in some cases almost every member of an idol group own dogs, UKiss and Shinwa are just two examples. Cats were once seen as vermin and bad luck, and were even used as an ingredient in traditional medicine. Nowadays all that is slowly changing and many more Koreans are keeping cats as pets. Perhaps better suited to apartment dwellers, cats are becoming increasingly popular with both idols and the general population. Cats are somewhat less demanding as pets since they can adapt more readily to an exclusively indoor life. They are also easier to care care of for temporary caretakers when their owners have busy schedules or overseas tours. 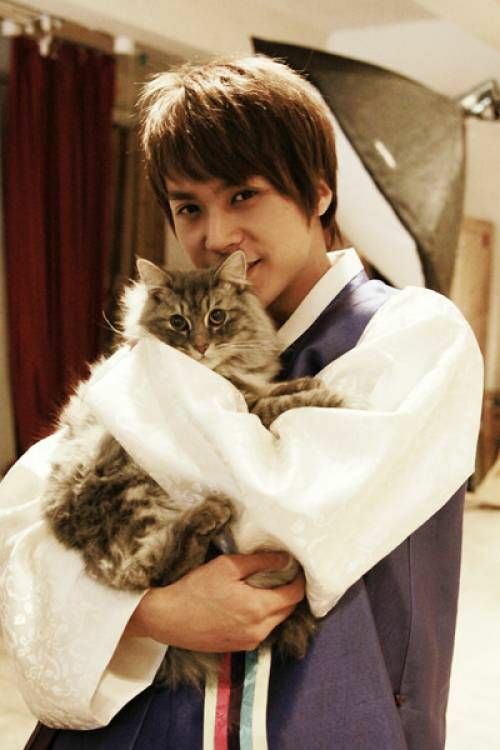 It is therefore no wonder that so many idols now own cats. Winner has multiple pets to include both dogs and cats. At one point they have even had to bring in an animal behaviorist to help Haute who was sometimes bullied by the 3 cats. Of course since then Seungyoon adopted a dog, now called Thor, and the group has move into 2 next door to each other ‘dorms’. So there’s the ‘dog’ apartment and the ‘cat’ apartment. Who is your favorite idol/pet combination? Let me know in the comments below. 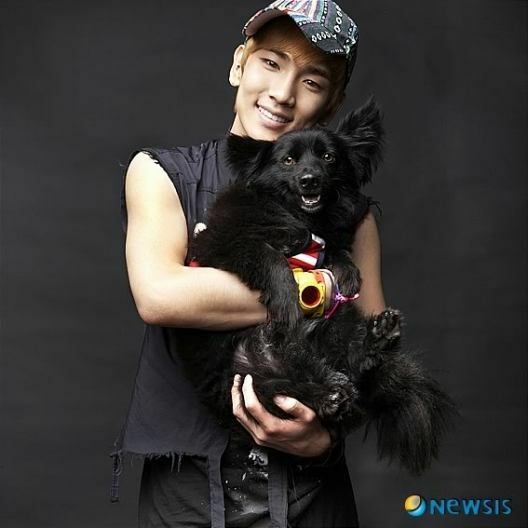 Mine is maybe Key as he fusses over his dogs like an old lady, and he so obviously loves them. Also of course Seungyoon as he chose to adopt, rather than buy, his dog. You may also enjoy Six Degrees Of Yoo Jae Suk, Cats And Dogs: Animal Cafes In Seoul, and Easy On The Eyes: Korean Models Turned Actors. All photo credits to original owners. Photo of dog sleeping on top of doghouses to Elizabeth Marzec. Please do not copy and use without permission and accreditation. Edit 06/25/2017 tourist facilities for those with pets are being planned by some municipalities. Edit 1/14/2018. Korean Government is doing a trial run in Seoul of asking people to register and microchip their cats. There has been an increasing number of strays. ← The National Treasures of S. Korea.